Thousands of Jersey poppies are to be recycled in a new scheme run by The Royal British Legion and The Co-op. It comes after the 2018 Jersey Poppy Appeal where the poppies were collected and are now being sent off to the national recycling scheme. They will be broken down to either be recycled or re-purposed for next year’s appeal. 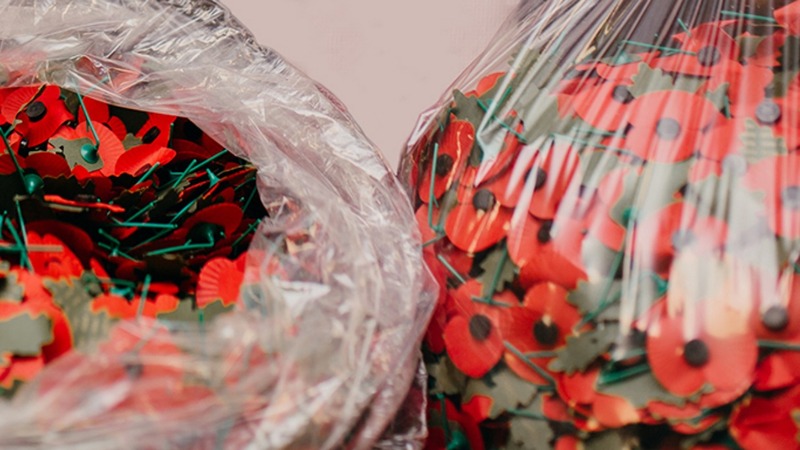 It is hoped that by recycling the poppies, it will help the Royal British Legion use vital funds elsewhere. The Jersey branch of the charity raised £195,000 from the appeal last year, as islanders remembered the centenary of the end of the First World War. The money raised will go towards providing financial, social and emotional support to veterans, servicemen and women as well as their families. All the paper poppies are environmentally friendly with their parts being either biodegradable or recyclable.